It’s Tuesday evening in Europe, Tuesday morning in the Americas, and Wednesday morning in Australia and Asia. That means it’s time for the weekly global blog hop, “Creating Success Around the World”. 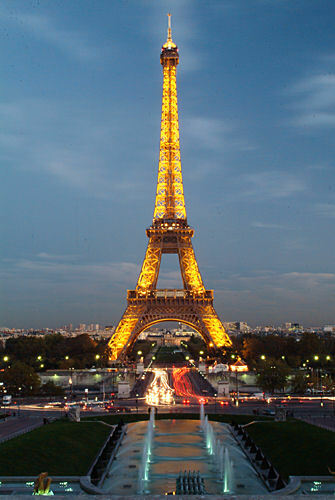 Blue Velvet Chair is your European host on this blog road trip. If you missed last week, there’s still time to catch up with Annemarie’s Haakblog in Holland. She’s got some wonderful crochet crafts that pop with color and happiness abounds the minute you land on her blog. And I still say that Dutch bloggers are some of the most supportive in the world. And don’t forget to include your blog in the link party at the bottom of the post if you want to connect with other bloggers on this global trip. We had some great connections last week! BVC: You are two sisters that create and sell together. When did your passion for crafting begin? Rita and Poppy: From really early on! We did not really have much choice, with two busy-bee parents who could make anything with their hands, despite their day jobs as teachers! Apart from these role models, Santa Claus (our Mum, Elli) would always bring us creative toys: polymer clay, wire flowers, glass painting… Apart from that, we would spend summers in our country house, where, apart from making “magic potions” out of rose petals and walnut tree leaves, we would always be making something in Dad’s workroom, using whatever we could find. I (Poppy) had even made dolls out of floor wood remnants and fabric scraps! BVC: Do you both have day jobs? Poppy: I am a psychologist. I teach at the University, I am an author, editor and a therapist. Too many part-time jobs at the moment, because of the [economic] situation in Greece! Rita: I am currently a full-time mum to a bouncy 3-month old baby, Iasonas, and a PhD student in Comparative Literature. BVC: It looks like you sell your products online. Do you make money, and what are your best tips for selling on Etsy or other online marketplaces? BVC: How is the do-it-yourself (DIY) and crafting industry in your homeland of Greece? Rita and Poppy: Getting bigger and bigger, judging from the art material shops and the big corporations that sell DIY products. Not enough thrift shops though, only antiqueries. In terms of knitting, crocheting and sewing, women here in Greece have been doing it for generations, but the online community of crafters is only now picking up. But an interesting thing has happened because of the recession: a sudden surge of mending shops, which are popping up at every street corner! We hope that the ‘mend and make do’ mentality of our difficult times will make people appreciate again an activity that used to be considered fit only for the poor! BVC: What is your ‘dream craft’ project (something you currently do yourself or something someone else does)? Poppy: I can’t wait to make a window shutter room divider! Rita: I would love to make a room full of bags for all occasions in all crazy fabric combinations! BVC: Can you share 3 other craft blogs that you think our readers should see? A question/answer blog dedicated to recycling and reuse. They take your questions and your suggestions. 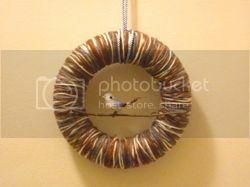 Showcases upcycled projects from across blogland. Bump up the fancy…for less. Poppy: …probably be cold, so I’d be sipping coffee at a bistro, jotting down notes and sketches for my next projects! Rita: …pop my baby in the sling and take a leisurely stroll down Boulevard Saint-Michel to check out the used-books stalls, and then have a hot coffee at the Kong, overlooking the Pont Neuf. The view is phenomenal! 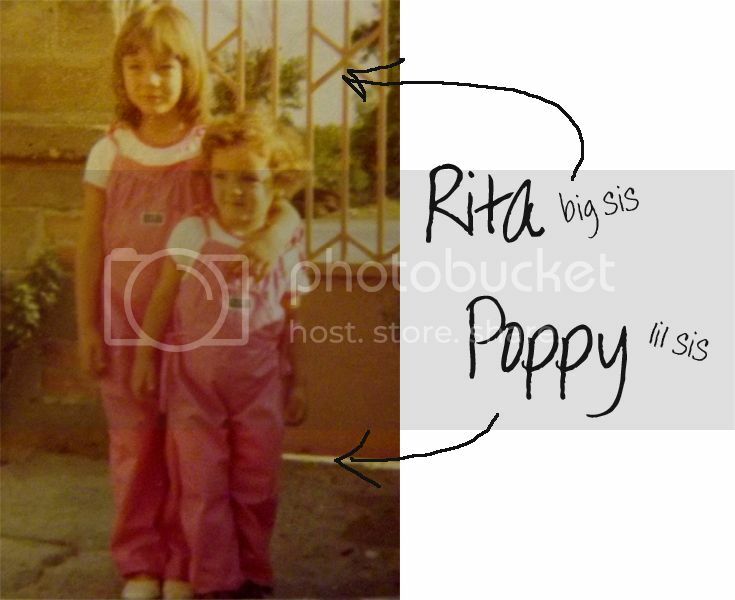 A big THANKS to Rita and Poppy for sharing a bit of themselves with us. 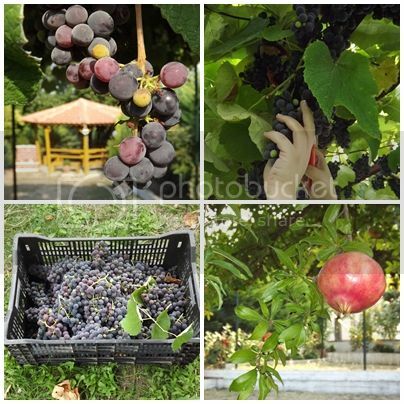 They also shared these photos taken last week at their summer house in Koukos, Greece, showing them picking grapes (among other things) to make their own wine – in the true spirit of DIY. Why did I feature Rita (short for Aristi) and Poppy (short for Kalliope) this week? 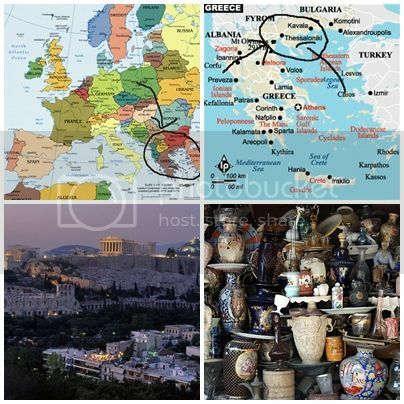 Because their blog is relatively new and I think it’s important to support new bloggers, they are using recycled materials when possible, and if you haven’t heard anything about Greece lately then you haven’t heard about Europe lately. With a country on the edge of economic collapse, a new government on the heels of a resigned prime minister, murmurs of leaving the Euro currency bloc, and a nation treading carefully, the message of reuse and recycle resounds even stronger in Greece as Rita and Poppy echo in their interview. Thanks again to these creative sisters who are making their way in a troubled national economy. Best of luck! Thank you for another excellent post. The place else may anyone get that type of information in such an ideal way of writing? I have a presentation subsequent week, and I’m on the search for such info. Thank you for a lovely post, Mike! If you ever come by nothern Greece, do come by for some pomegranate liquer and hearty cinammon and wine cookies! Rita and Poppy sound like a great team – love the pictures of their creations – and the grapes at the end! I'm off to check out their blog now – and those they recommended too!